Should a Rescued Pregnant Cat Be Spayed? One of the most controversial issues is whether or not to spay a rescued pregnant cat. While some people are repulsed at the thought of killing kittens, others believe the question begs a larger issue, that of the overpopulation problem. All too often, these pregnant females are kittens themselves. 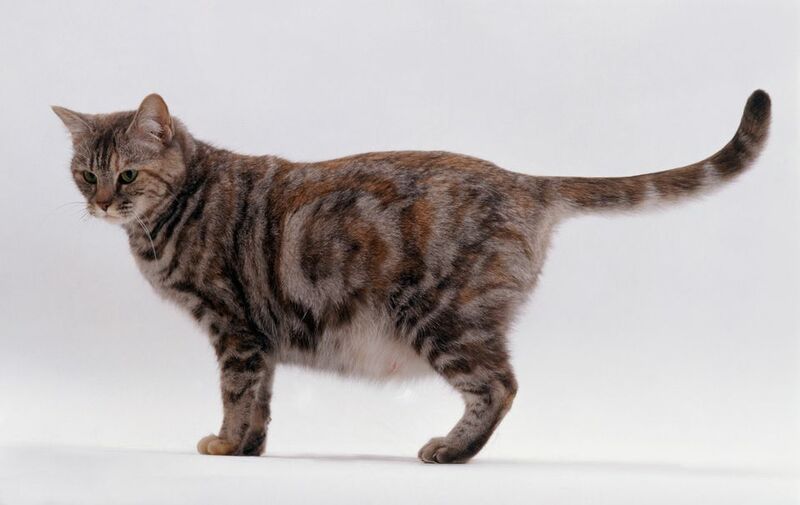 It is fairly common for a cat to have its first estrus period between four and six months of age, and to give birth as early as at six or seven months. This situation is rife with potential for disaster, both to the survival of the mother cat and to any kittens that live. Unfortunately, many veterinarians refuse to spay or neuter cats until they are six months old, which only exacerbates the problem. Guidelines for early spay/neutering are 6 weeks or 2 pounds. Spaying of a pregnant cat includes abortion, a word that involves emotional reactions, whether applied to humans or to cats. Spay the mother cat in all cases, right up until birth. Observe what has been called the "Gold Standard," and never spay a rescued pregnant cat. This issue is emotional on both sides. Proponents don't like having to take lives of unborn kittens, but their position is based on pragmatic reasoning. Opponents simply do not like the taking of lives under any circumstances, whether born or unborn. The larger issue should be addressed first, that of an enormous cat overpopulation problem, primarily caused by cat owners' failure to spay or neuter their cats. Often the resulting pregnant female cats are thrown out on the street, where they and their surviving kittens continue to mate, and the offspring from those matings continue to mate. The horrifying reality is that a pregnant female cat and her descendants can account for the births of several hundred kittens in just a few years. 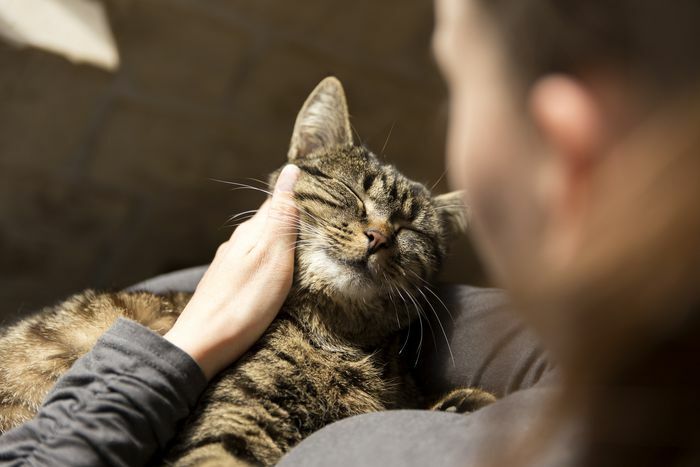 Animal rescue groups, humane societies, and TNR (trap-neuter-release) groups are overwhelmed in trying to staunch the flow of new kittens, and "kitten season," which extends for a long part of each year is met with dread by these groups. Dread, because they know that this year's kitten crop will be responsible for the deaths of last year's kittens, or older cats, at shelters. There simply isn't enough space to house them all, and something must give. It's a matter of supply and demand. In a world that loves kittens, kittens are a dime a dozen. While spaying a non-pregnant female cat will prevent the birth of anonymous future kittens, spaying (and aborting) a pregnant female cat prevents the birth of live embryos, a thought that horrifies many people. Spaying a rescued pregnant cat will help contain the overpopulation problem. There are simply too few homes for the huge number of homeless cats. Very young cats and very old cats rarely enjoy the kind of physical condition that would warrant allowing them to give birth. Birthing and nursing a litter of kittens would easily take their last ounce of strength and could kill them. This truth is even more evident in the case of pregnant strays, who may have already borne dozens of litters of kittens. (A female cat is capable of bearing at least three litters of kittens each year.) The kindest and most compassionate action anyone could take with one of these cats is to spay/abort her. The only time a pregnant stray cat should be allowed to give birth is in the case of being near-term. There is a Roe vs Wade aspect to this argument, which brings up whole different issues of viability - "when does it occur during pregnancy?" The taking of life, whether it be human or animal, already born or a fetus, is immoral. There are no "excuses" that make it all right. Shelters and rescue organizations are institutions, and their primary concern is the movement of cats out, to make room for those coming in. In that sort of atmosphere, moral considerations may take second place. However, an individual who is willing to keep both the mother cat and the kittens or find good, permanent homes for them, should not be made to feel guilty for allowing the birth. Where is the evidence that the people from the "good homes" might have instead adopted cats from shelters? Perhaps they weren't even looking for a cat until they heard a friend, neighbor, or co-worker had adoptable kittens. There will never be a complete resolution to this issue until cat owners become responsible caregivers, by spaying and neutering their cats. As more and more kittens are born each year, more and more stray cats will appear, and the feline overpopulation problem will increase exponentially. That is why this issue is just a small part of a greater issue: spay and neuter.